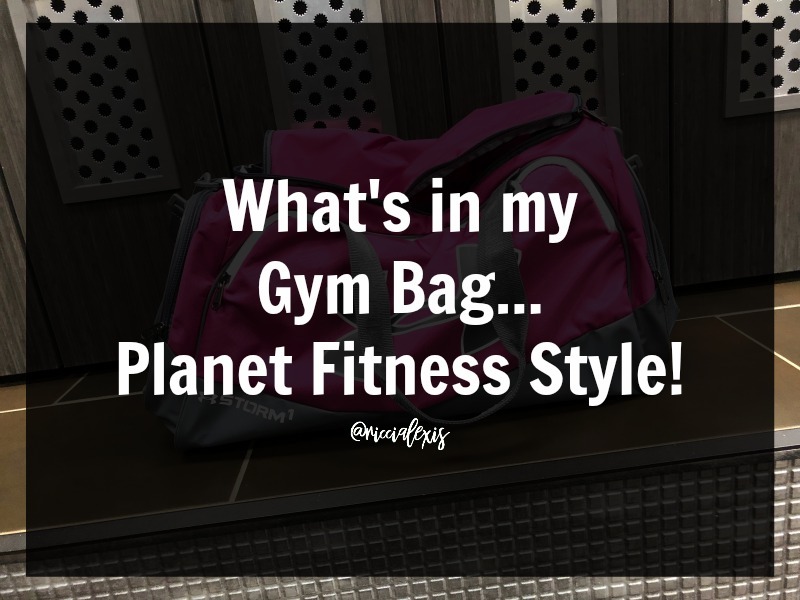 What's in My Gym Bag...Planet Fitness Style!! 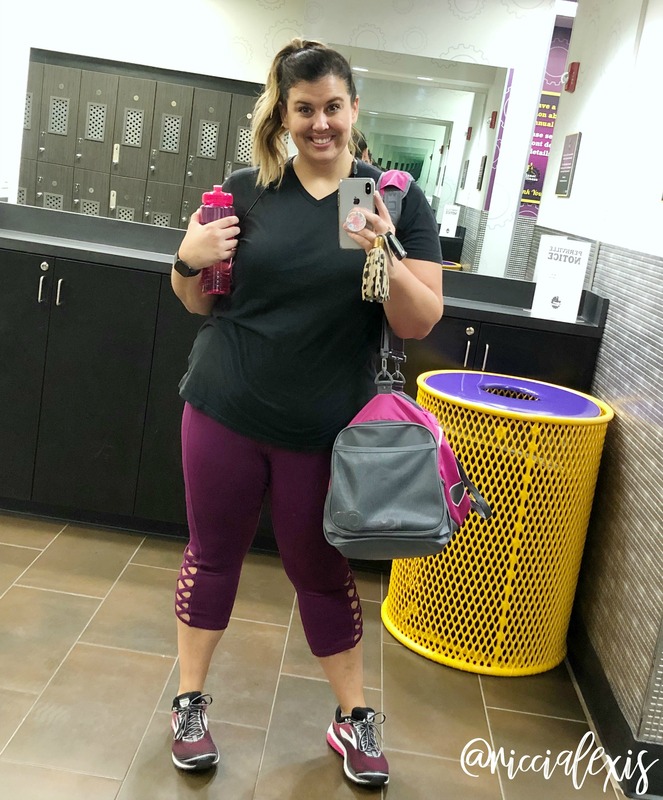 What’s in my Gym Bag…Planet Fitness Style! This is a sponsored post written by me on behalf of Planet Fitness. While I was compensated for this post, all thoughts and opinions are my own. 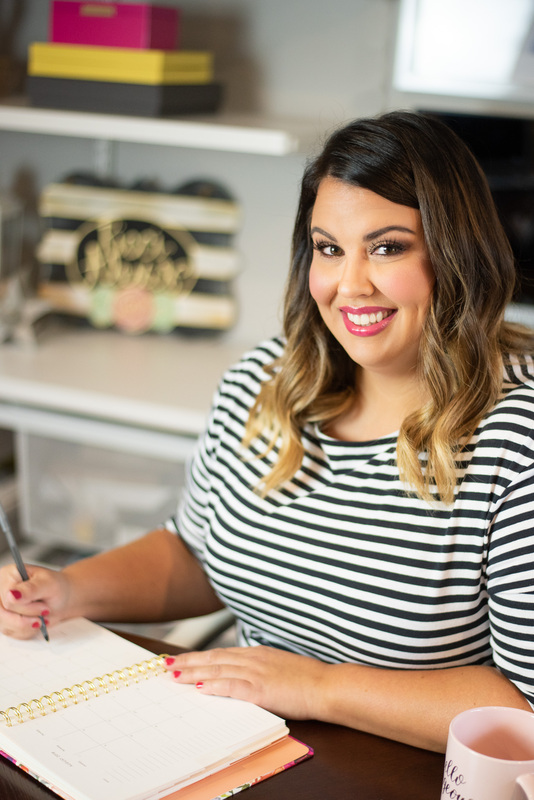 Guess who’s back…back again?? I feel like I say that every time I go to the gym, HA! Actually I haven’t been to the gym much since my last Planet Fitness post because LIFE. I have been on vacation (which I have zero excuse for because there was a Planet Fitness in every town I went to and I totally could have gone to workout at any of them because BLACK CARD but I didn’t) and the weather has actually been nice here for a change, NOT 100*+, so Sophie and I have been taking our walks to the park and I have been getting my cardio in that way. Woohoo for outdoor cardio!!! Also, I live on the third floor of my apartment building and there is no elevator, trust me when I say I get a pretty good workout in running up and down those stairs every time Sophie needs to go outside or I forget something in the car. I’m going to have buns of steel before too long y’all!! So back to the point of this post, which I have’t even mentioned yet, my gym bag!! I decided to start working out after I get off work in the mornings for two reasons. One so I don’t have the excuse of not wanting to go back up and down those stairs again once I’m already home in the mornings (I work night shift so I get off work at 7am). And secondly because it’s not so crowded by the time I get there and it’s on my way home so….why not?? I have not one but TWO Planet Fitnesses I can potentially stop at on my way home so really I think that’s the best option for me. Plus I don’t have to worry about getting up early, taking Sophie outside, getting ready and driving to the gym, coming home, getting ready and then going to work. That’s just a HASSLE so morning workouts on my way home from work it is!! 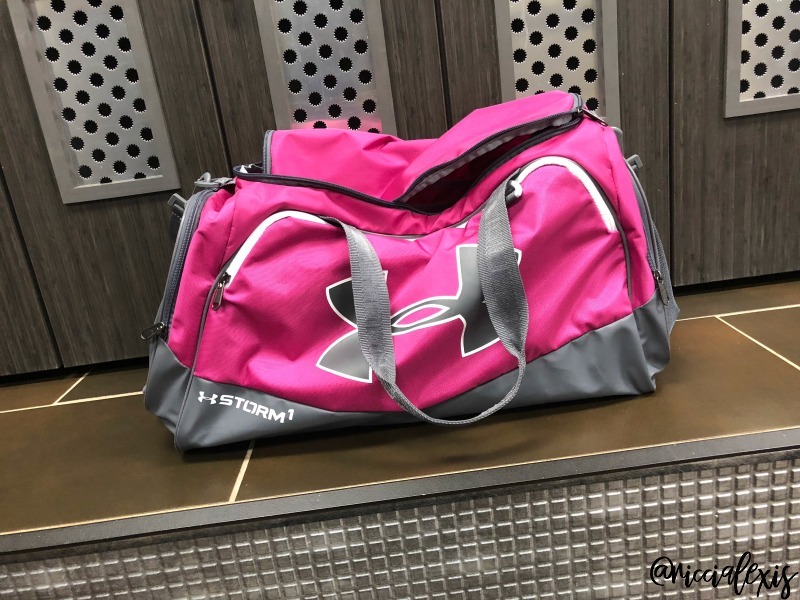 So today I thought it would be fun to share with you what I keep in my gym bag…let’s get to it!! ONE. Gym Bag. I got this bag a couple of years ago and in true Ricci fashion I ordered it without actually getting out my measuring tape and it’s HUGE. It’s the medium size but I could have gotten a small and been fine. LOL! I linked the newer version of the bag since it’s cheaper! Despite it being HUGE I love this bag! It has a separate compartment for your shoes so they don’t touch your clothes and make them stinky and I’ve also used it for dirty clothes before when I’ve traveled with it! It also has lots of pockets to carry all of my little things…lock for my locker, bobby pins, hair ties, etc. I love it! And even thought this bag is HUGE it still fits in the lockers at Planet Fitness…LOL!! TWO. Shoes. I got these Brooks last spring and I am obsessed with them! It is so important to get a good shoe to work out in so you don’t hurt yourself!! The Ghost 10’s are currently being discontinued but the Ghost 11’s are just as good. I have a pair of those for work and they are just as amazing! I did a post on my Ghost 10’s in the spring and I plan on doing a post comparing the 10 and 11 soon!! THREE. Water Bottle. I have to have a water bottle with me when I work out and this one is super cute! I like using reusable water bottles because they are better for the environment and Planet Fitness has several water bottle fill up stations/water fountains throughout the gym so they make filling up the bottle fun! HA! The sweet people at Planet Fitness sent me this bottle and they must know me well because pink is my favorite color!! FOUR. Face Wipes. I like to have a clean face when I work out, I just feel like working out in a full face of makeup is counterproductive for good skincare so I like to use these wipes to get all the makeup off my face! Thees actually get all the makeup off my face without being super harsh and they smell good!! FIVE. Dry Shampoo. I pull my hair up when I workout and sometimes it’s too smooth/silky to stay up for very long so I give it a good spray with dry shampoo before I pull it up. It also doubles to absorb the sweat while I am working out…gross but true! And sprays clear so you don’t have to worry about walking around with gray hair. I love this travel size one, it fits perfectly in my bag and doesn’t cost an arm and leg! SIX. Brush. Rarely do I actually brush my hair once it’s curled but I do like this wet brush for getting through sweaty hair…again, gross but true!! SEVEN. Lotion. Pretty much any lotion will do but I have a few travel sized bottles of this one so that’s what I use! EIGHT. Anti-Chafe Balm. During the summer I like to work out in shorts and since I am rocking some thick thighs (and proud of it!) I use a chafing balm on them so I don’t chafe and then get super sore and never want to work out again! HA! I grabbed this one on Amazon and it works but I’m sure there are others out there that are just as good!! NINE. Hair Ties. I have tried many kinds of hair ties in my day but these are my current favorite. They don’t leave a crease, are pretty stretchy and yet still hold all my hair in place! TEN. Bralette. Yes, unless I am doing some sort of extreme cardio I work out in a bralette. They are comfy and I have several and I get mine from Lane Bryant. ELEVEN. Lace Up Leggings. Speaking of Lane Bryant I get most of my work out leggings there too! They have a wide, thick band that really holds everything in and don’t slip down not matter what you are doing plus they are just cute! I have this pair in both purple and black! TWELVE. T-shirt. Let’s be real. You could honestly work out in any old t-shirt but I am obsessed with these men’s v-neck tees from Old Navy because not only are the super soft but they hold up well in the washing machine. I think most of mine I have had for 2+ years! Like a fine wine they only get better with age…LOL!! And that, my friends, is everything that I keep in my gym bag!! If you are looking for a new/different gym then I highly suggest you check out Planet Fitness. Yes, they are sponsoring today’s post but they are also amazing!! They have fantastic equipment, large locker rooms, lots of “extras” (massage chairs, hydromassagers, tanning beds, personal training, etc) and they are all over the place so if you travel a lot like me you can probably find one nearby to use!! I saw them all over Ohio when I was there!! And if you have been thinking about joining but have been holding out for whatever reason you should know that Planet Fitness is offering a deal where you only pay 25 CENTS to join as a regular member and ZERO DOLLARS for a Black Card Membership (this is the one I have and the one you can use when traveling). This deal is good from September 7 – 14 so jump on it while it lasts!!! Then we can work out together…virtually!! What essentials do you keep in your gym bag?? I totally hear you about working out on vacation. The struggle is real. I always say I am going to, but I never do. 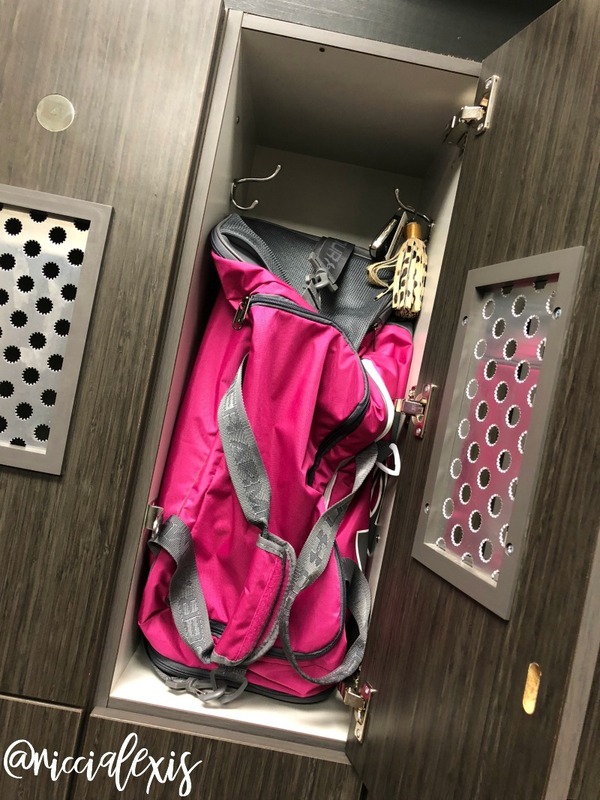 Looks like you have everything in your gym bag to hit the Planet Fitness gym. Loving all the pink. Enjoy working out at Planet Fitness. I like your bag! What a pretty color! You’ve packed some great stuff in here. If I ever make it to the gym again, I’ll keep it in mind! 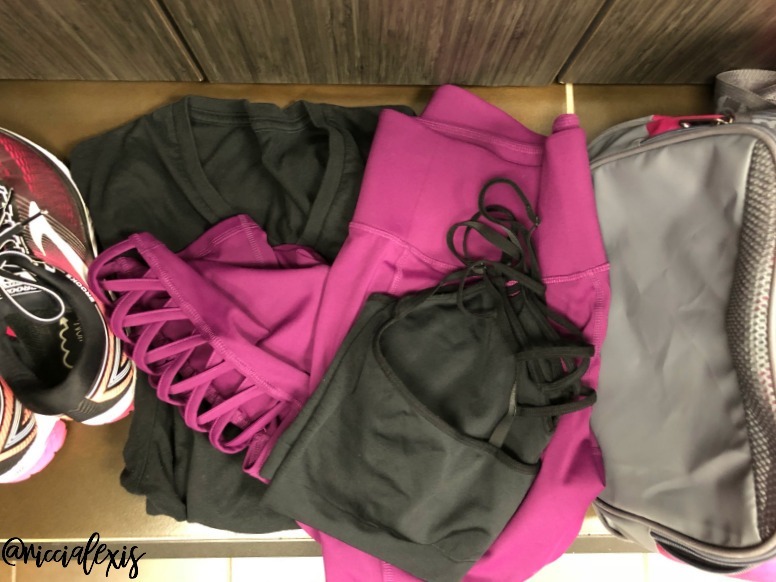 Love the color of your gym bag. I have to keep my facial wipes and water bottle in my bag. These are all great ideas for getting prepared for that workout. I try to get to the gym everyday so i will use some of these tips and try not to forget anything which i always do. I have heard of Planet Fitness. We are YMCA members due to all the things that they have for kids. 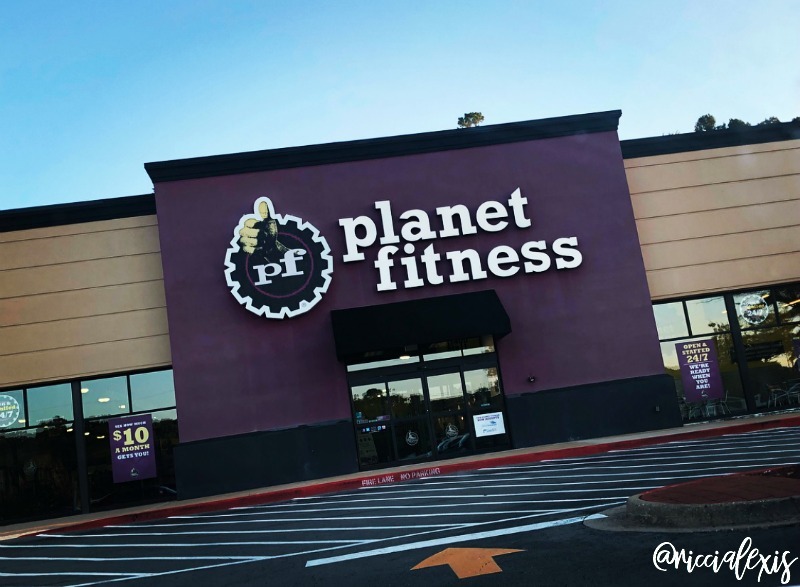 I hear good things about Planet Fitness, though! I wish PF was closer to me. All the city gyms are $80+/month – crazy! PF is so much more affordable. One day, I hope. I hear ya. Going up and down the stairs is no joke! We used to live on the 18th floor and the elevators were broken. We had to take the stairs with our groceries…plus a silly watermelon we just had to buy that day lol. We usually only bring a water bottle to the gym plus a shirt. 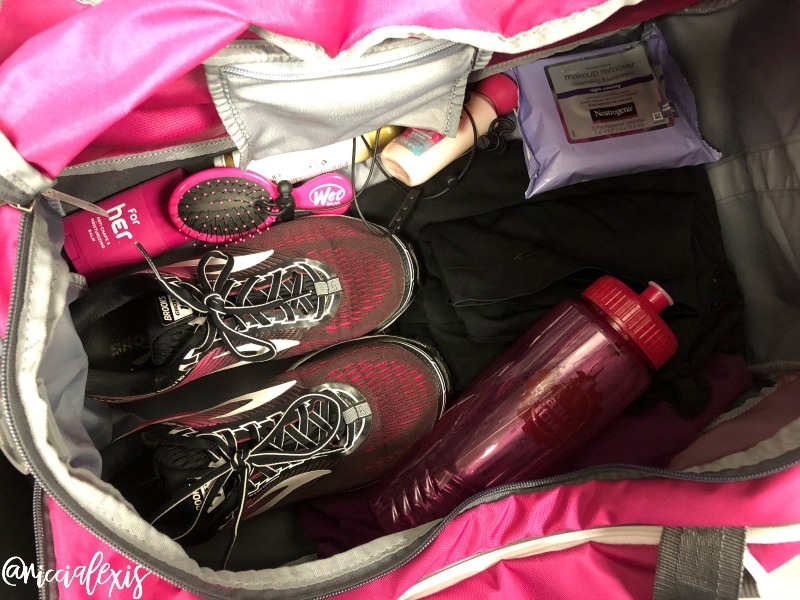 Wish our gym bag had all the essentials like yours! I have many of the same items in my gym bag. I love using facial cleansing wipes to remove sweat from my face after the gym! you have packed every essential needed, I will keep in mind if I ever hit a gym. I will keep in mind. Your gym bag is packed with great stuff. I rely on dry shampoo to make my hair look nice when I don’t have time to shower. YOU ARE ADORABLE! I love those pants and gym bag and the shoes too. Brooks are my fave! I love that that gym bag has a separate area for the shoes. That sounds like a really nice deal, we’re just a couple of miles from a Planet Fitness ourselves. I love your gym bag! Everything’s color coordinated, which is so cute. It’s good to have everything you need when you’re planning to work out. Love your shoes and activewear! I love going to Planet Fitness. I have a great team there! I love your clothing options. They look cute and comfy! Wow, I love your gym bag!It’s is very girly and of course spacious. Also your things are indeed such great picks. I am planning to go to the gym as well to continue my fitness project. I make sure to bring a healthy snack with me to eat after I work out. Especially if I’m swimming!